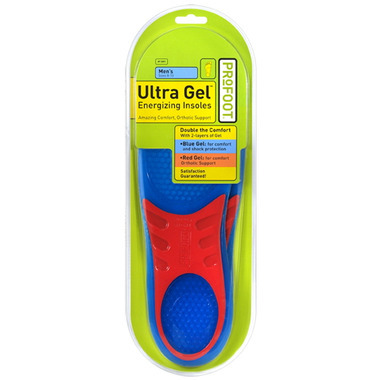 Ultra Gel Insoles are not only incredibly comfortable, but the new double gel design actually returns energy with every step. You’ll feel less fatigue and pain no matter what shoes you wear. The firmer red gel is designed to support heel and arch in a stable healthy position. This greatly reduces the possibility of missteps and injury.